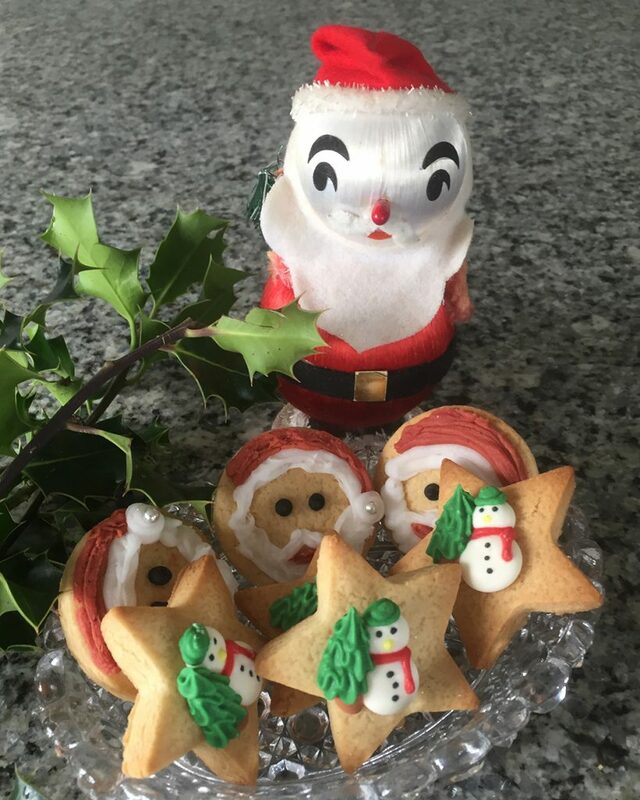 Homemade treats are particularly lovely at Christmas, either to enjoy with your family and friends or as gifts. Property Manager Amanda Craze has shared her favourite recipe for baking delicious vanilla flavoured biscuits. 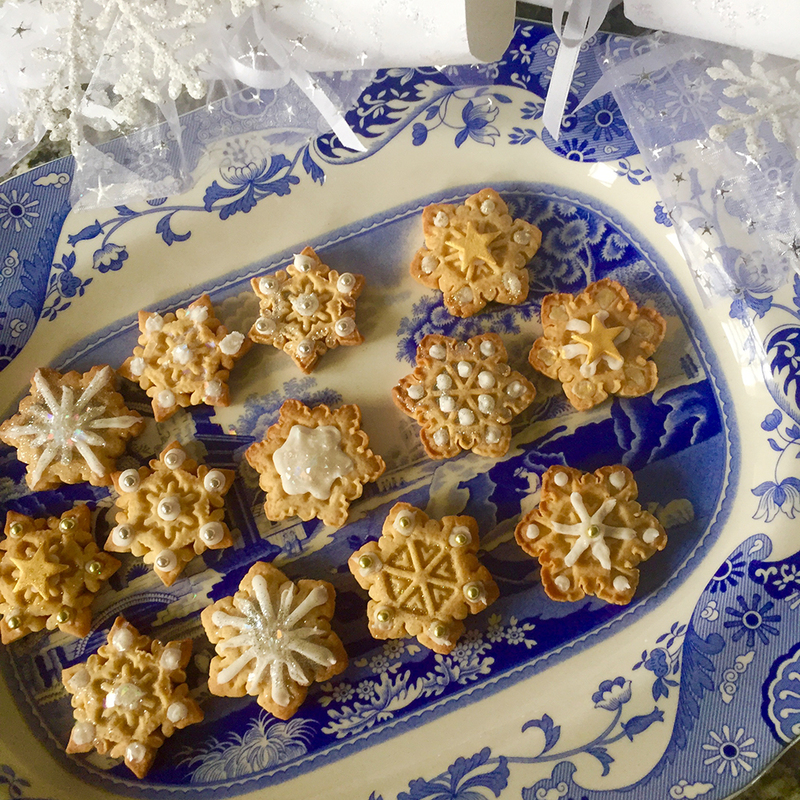 She uses a Lakeland star biscuit cutter as a festive design and, as an expert icer, they really shine in every way. For novices, Amanda has also shared her tips on icing. Making these biscuits is a great fun activity to do with children on a cold winter’s afternoon and they will love creating their own designs. If you prefer you can use alternative flavourings instead of vanilla. Cinnamon and Orange – add the zest of 2 oranges and 1/2 tablespoon cinnamon. Ginger – add 1 tablespoon ground ginger. 2. Sift the flours together into a mixing bowl, add sugar and mix well. 3. Rub in the butter using your finger tips until it resembles fine breadcrumbs. If you are using a different flavouring add now. 4. Add the syrup and the egg, mix all ingredients together, kneed lightly to form a dough. 6. To roll the dough, place it between two sheets of parchment paper and roll until it is 5mm thick. Transfer the whole sheet of rolled dough still sandwiched between the paper to a baking tray and refrigerate for 20 – 25 minutes before cutting. Repeat for other disc of dough. 7. Cut the dough into required shapes using your chosen cutters. Place evenly on lined baking trays and cook for 14-18 minutes until they turn a golden colour. Remove from oven and carefully lift each biscuit off the tray onto a wire cooling rack and allow to cool totally before icing. 1. Combine icing mix to water, you are looking for a mix that resemble the appearance of toothpaste. 2. Add any colouring to icing you wish to use, or divide icing into bowls and add your chosen colours, mix well. 3. 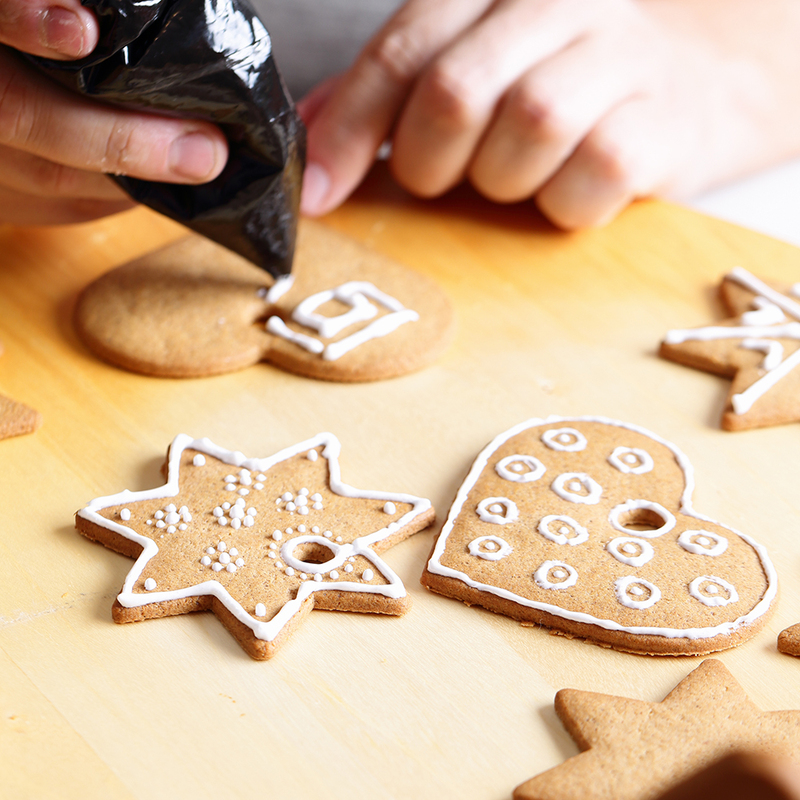 Place icing in an icing bag or squeeze bottle and decorate the biscuits as you wish. When not using your icing cover the surface with clingfilm and refrigerate. If you are using an icing bag, use one hand to squeeze on the bag and the other to guide the bag. Place any decorations you are using directly on to wet icing to ensure affix. Wishing everyone a very Happy Christmas from the Polpier team.